Rights the publisher asks for: First publication rights plus exclusive rights for one year after publication. Author retains copyright. Format: Not specified. Standard manuscript format is a good bet. Will they take multiple submissions? Yes, but include all in a single document. Read more about multiple and simultaneous submissions. Will they take reprints? “…we won’t consider poems that have been published in books, magazines, or newspapers, in print or online. We will, however, consider poems that have only been self-published to blogs, message boards, or social media accounts.”. 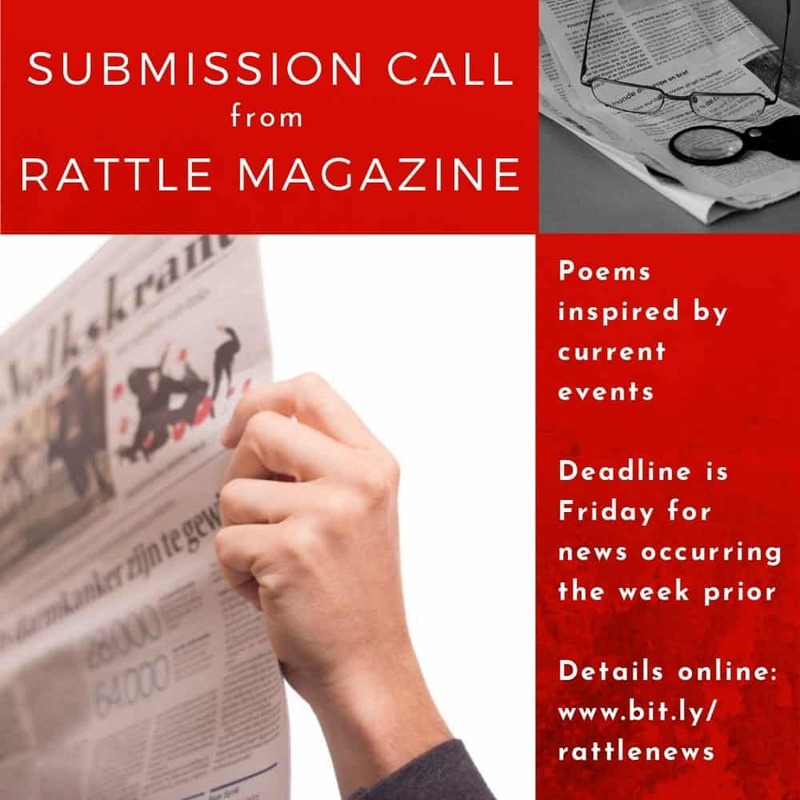 Find more details at Submissions | Rattle, and don’t forget to tell them you found their submission call here!